During those days, John the Baptist was preaching in the desert about the kingdom of God to the Hebrews. John wore clothes made of camel’s hair, and he ate locusts and wild honey for food. 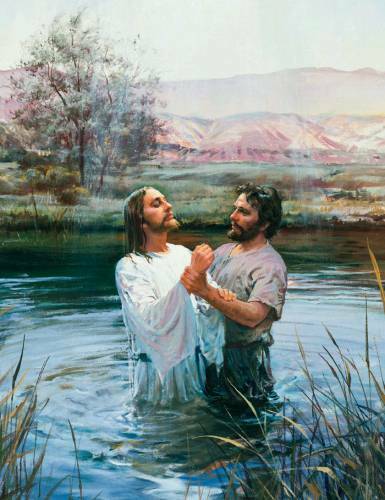 And so John the Baptist baptized Jesus in the Jordan River. As Jesus came up from the water, the spirit of God suddenly descend on Him like a dove. Jesus was filled with the Holy Spirit and returned to his home. Jesus was then led by the Holy Spirit to be tempted by the devil and He fast for forty days and forty nights in the desert. During the forty days and forty nights, Jesus didn’t eat or drink any water.